Episode 4: Why is there violence on campus? You’ve seen the violence on campuses: the shouting down of speakers, the physical attack on people of opposing ideologies, the quick accusations of racism and special privilege. You’ve also probably heard that words are considered violence. These are new reactions to debate and disagreement! Where did all of this come from? From the ideas of Postmodernism. Understanding this philosophy is key to understanding our culture at large today. We discuss this tricky term and the powerful influence its ideas have had, including the way many intellectuals and young people define truth, objectivity, ethics, and tolerance—and the impact of these ideas on free speech. Marsha and Liz demonstrate how the postmodernist theory of knowledge inevitably leads to violence. Here’s the argument between Sam Harris and Ben Affleck on the Bill Maher Show which we discuss in the podcast. 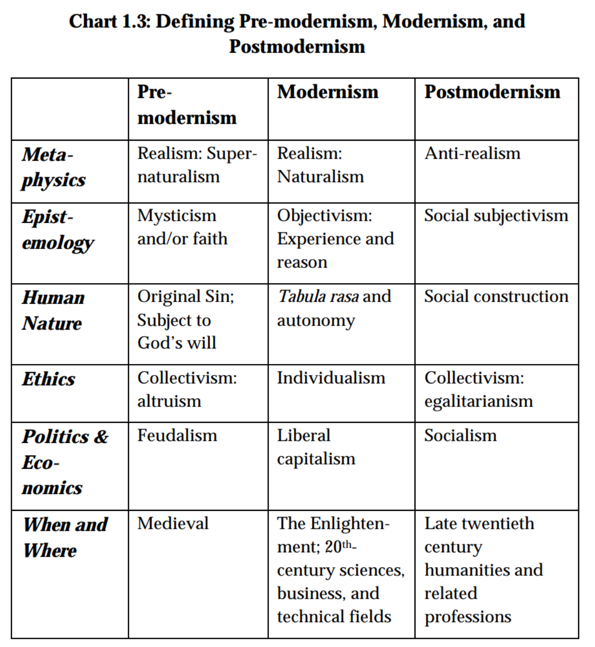 Here’s a clear exposition of Postmodernist ideas and their history: Stephen Hicks, Explaining Postmodernism: From Rousseau to Foucault (free PDF) or buy it on Amazon here.